Stanley Fire Rescue Boats are built to take punishment 24/7. 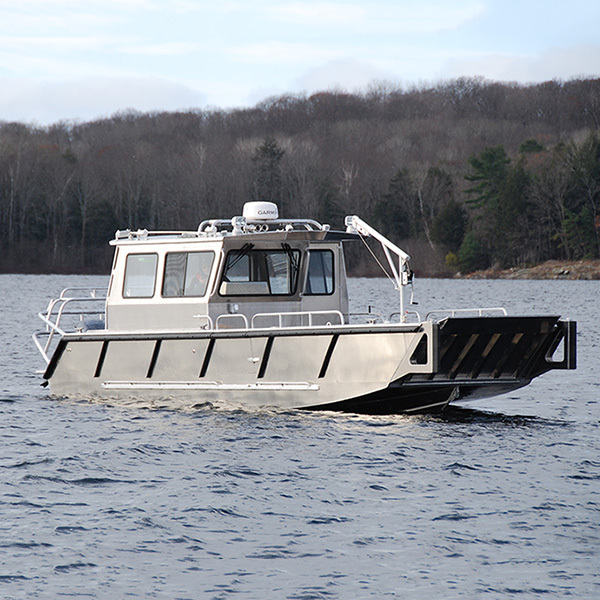 They are designed from the ground-up to serve as constant-duty boats. Available in sizes ranging from 20’ to 55’ LOA, Stanley Boats are critical life-saving assets for rapid deployment, ease of use, and multi-purpose missions, including shallow water ops. Trailerable. All aluminum, commercial grade throughout. Optional Bullnose® Landing Craft drop-down bow gate on some models, beachable, for rapid load-offload of equipment and personnel, and for victim recovery. Excellent for dive teams and marine fire fighting, or SAR ops. Customization for agencies with special requirements. We offer aft or midships wheelhouse options, with room for crew in all weather conditions. Fire pump options, 1500 GPM and up; or opt for complete portability with a removable pump that can be used ashore as well. Center console option, for open boat ops. Multiple engine configurations, including twin advanced outboards, single engines, jet drives, or other. 20′-55′ LOA, with customization for agencies with special requirements. Many models, styles and sizes available, including hardtop patrol boats with crew facilities, dive ops stowage, night ops capabilities, etc. Ask about our Expedited Delivery for agencies that are working in a Declared Emergency region, whether local/state/provincial or federal. We understand heavy weather outcomes that produce widespread flooding and other challenges, and we have the boats you need. Fire, SAR, and Law Enforcement referrals available on request. Designed with performance, versatility and safety, Stanley Fire Rescue vessels are hard at work in communities throughout North America, the Caribbean, Europe, Africa, and the world.